So, this is it – after several years of post-doctoral contract research experience, you decide you want to obtain that elusive lectureship. What do you need to do to achieve this? Firstly, consider if a lectureship is the right career path for you. This article here summarises some of the advantages of becoming a lecturer, but it is by no means the complete picture. Are you prepared to knuckle down and teach several hundred undergraduates the basic aspects of your subject discipline including the latest developments in science and research in areas that don’t affect you? 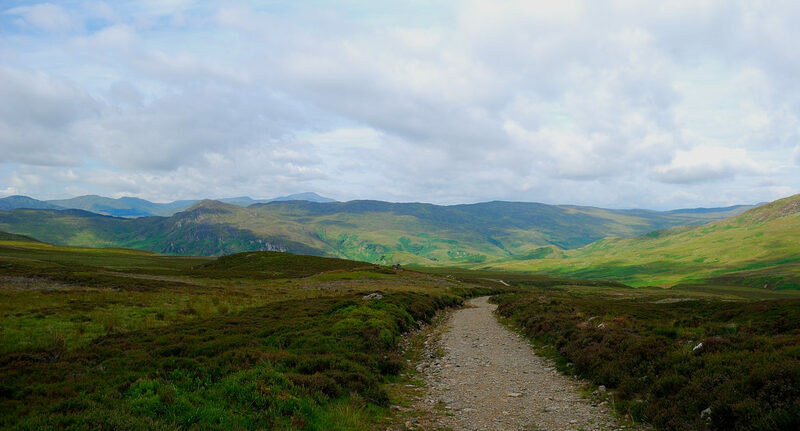 The days when an academic could descend once a week from his or her ivory-tower to pontificate before students on his or her ‘greatest hits’ or the the latest achievements in his or her chosen research area are rapidly fading into the distance (Figure 1). 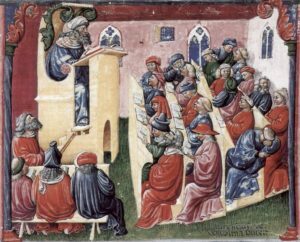 Figure 1: Lecturer delivering a lecture to students in Bologna during the 14th century. Today, junior lecturers are expected to juggle our work/life commitments and coordinate, manage and deliver our teaching, be personal tutors, take part in committees (Health & Safety, Equality & Diversity, Learning and Teaching, etc), Open Days, alongside one’s research – and somehow have a “life”. The debate is still out there as to the reasons for this work/life imbalance – but part of the reason could be due to the higher education system which students are treated like the consumers. So perhaps you should ask yourself “Can I teach?” or “Would I like to teach?” Before you send off those job applications, look for opportunities to try out teaching first. Volunteer to take lectures or tutorials or supervise dissertation students. Try teaching different class sizes and subjects and offer to engage with assessments (posters, oral presentations, assignments, etc). Not only will you gain valuable experience, you will be in a better position to judge whether teaching is for you. Not every great researcher is a great teacher. Once you have gained some teaching experience and are convinced that lecturing is the right path. What next? Ask yourself whether you want to have a balanced portfolio of teaching and research or first and foremost, to push your research agenda forward? This will influence your choice of university/institution. If you wish to focus primarily on research, some universities will expect you to possess independent funding or be the successful holder of a grant or two, as well as having published a number of high-impact papers. Other universities will have more modest requirements. Others may be looking for lecturers who can manage a balanced portfolio of both teaching and research (e.g. 40:40:20 of Research:Teaching:Admin). Be realistic about which route is the best fit for you. So once you obtain that lectureship, what next? Recognise that you are not going to raise the University’s REF scores single-handedly or overnight. Settling down in your new lectureship takes time. Whatever your experience, whether you have come from a world-class institution or a start-up company, you will have a lot to learn in your new role. You are going to have to balance the competing demands of lecturing, assessing, coordinating, researching and grant writing, along with a range of administrative roles. Your senior colleagues may have done that successfully for years. Seek to build good collaborative relationships with your new colleagues and learn from their experience. Don’t be a “lone ranger”. In an ideal world, your new environment will be even better than your previous jobs – if that is true, wonderful! If the opposite is the case, observe and recognise the strengths and weakness of the new work environment and seek to develop and improve it. Perhaps you have been parachuted into a thriving research group that needs someone just like you to fill a gap? Or perhaps the department is setting up a new research theme and you are the “new kid on the block” – with nothing more than four walls and a door? So look around you, is there a lack of equipment? How about streamlining the research – starting with the available basic equipment and collaborating with others to share equipment and apply for funding together. Hopefully small seed funds will lead to larger grants to buy bigger equipment. Perhaps you can set up a shared facility with shared technical support. 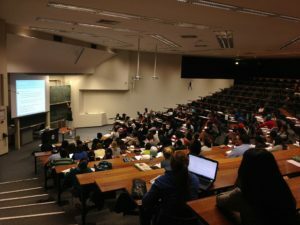 Figure 2: A lecture in progress in Leslie Soc-Sci building in theatre 2A. Or perhaps you have been brought in to teach, teach and teach (Figure 2)! Is the teaching load high because it is a new degree programme and you are one of the first few academics appointed to manage this? Can you make teaching more efficient by either sharing the teaching with others or by reducing the volume of assessments by using different types of assessments? At the end of the day, in higher education, we are conveying our love of a subject discipline to the rising generation. If you take a step back and reflect, is this not dissimilar to conveying our love for our research project to the scientific community? Hopefully, in both scenarios, it improves society. I know, it is easier said than done, but maybe that is one way of looking at things, just to keep our sanity! PS: if there are any academics out there feeling that the pressure of work is negatively affecting your mental health, please seek help.